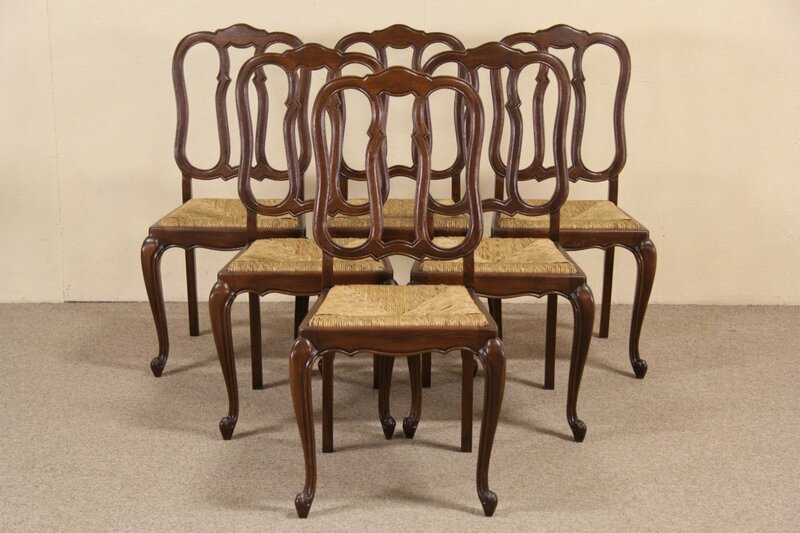 Genuine Country French furniture from the 1920's, this set of six dining chairs are hand carved of solid oak. The deep rich finish is in excellent condition. Frames are strong and durable, reglued to be ready for another generation of use. Seats are hand woven of natural rush on this antique set from France. Size is 19" wide, 21" deep, 38 1/2" tall and seats are 18" high.